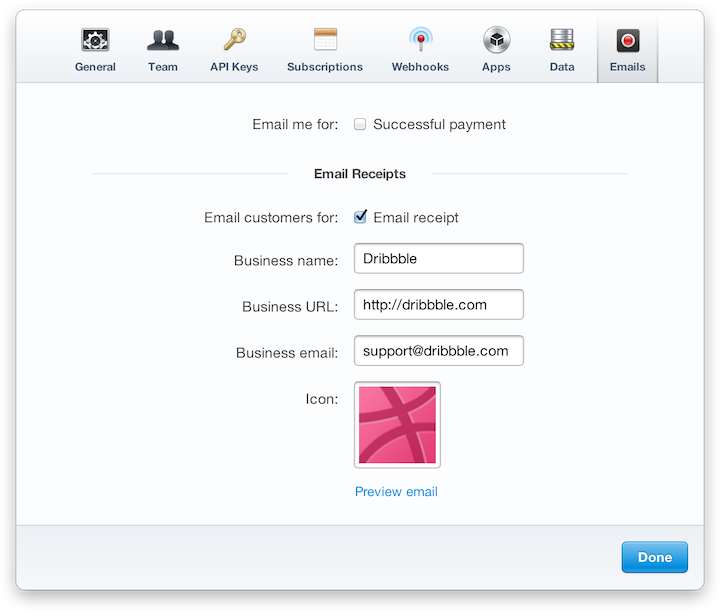 Many Stripe users send email receipts for payments, and we’ve received a lot of requests to support sending receipts directly from Stripe. 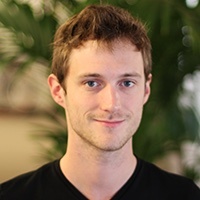 While our webhooks are powerful and can be used to build events for things like account creation and customer cancellation, we want to make common cases—like sending receipts—easy. 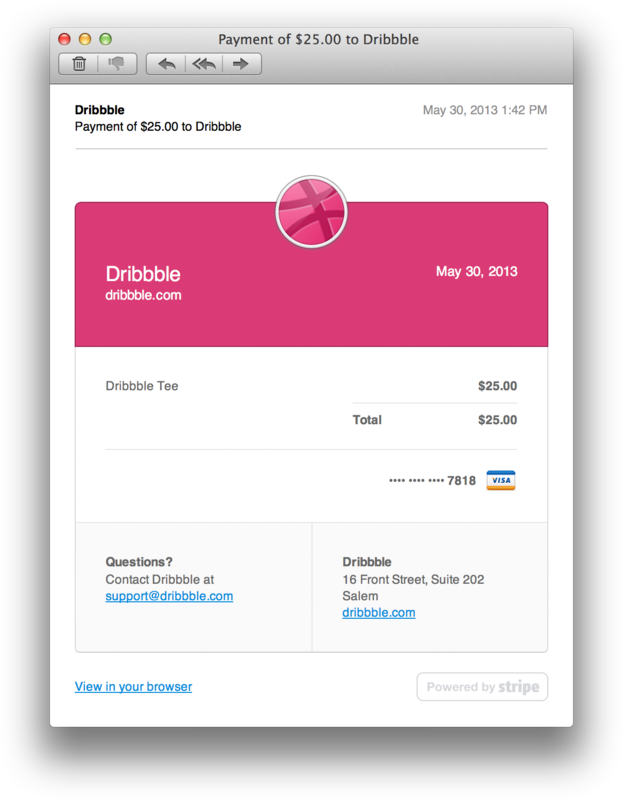 Starting today, you can enable email receipts for your users in a single click. Just head to the emails section of your dashboard settings to enable them. Along with specifying basic business details, you can upload a custom logo, from which we’ll automatically detect the optimal header color for the email. Once enabled, we’ll send an email receipt every time you charge a customer that has an email address configured, for both recurring subscriptions and single time purchases. The emails will only be sent for payments in the live environment. As always, we’d love to hear your thoughts on this feature and any other ones that would improve Stripe—drop us a line!